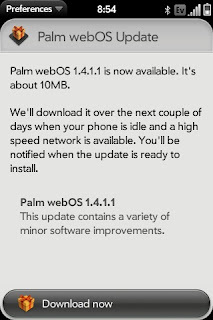 Palm Pre and Pixi customers on Sprint can jump on the webOS 1.4.1 fun today Palm has released the webOS 1.4.1.1 update is available for download. You can install the update over the air using the Updates application on your Palm Pre or Pixi. 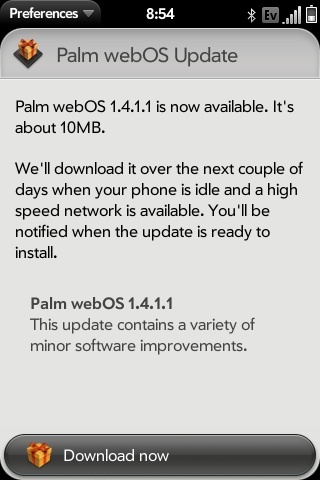 You can read the full list of changes and enhancements in Palm webOS 1.4.1.1 on the Palm webOS updates website. Bell and Verizon customers who have the Pre and Pixi will have to wait a little bit longer as the 1.4.1.1 update is not listed on the Palm website.